Consumer satisfaction is at the heart of any brand. A satisfied consumer is more likely to return and even publicize your brand to others. In today’s day and age, one key thing that customers expect is value for their time and quick turnaround time for queries. Technology to the rescue! A business running without the aid of technology is a thing of the past. Today it is very unlikely for such a venture to sustain in the long run. In this ever-evolving and competitive business world, businesses need to discover newer ways to adopt technology to woo consumers and stay ahead. One way is to start collaborating consumer preferences and individual choices. But what should they do with this? Improve their products? Certainly yes, and much more. Collecting data on consumer choices and reiterating questions have helped marketers to come up with something called “Conversational Commerce” to make the customer feel at ease when they are in your e-store. In this article, we’ll walk you through the 3 W’s of conversational commerce – what, why and how (working). Additionally, we’ll also be covering the core benefits of conversational commerce. Prior to the technological evolution, we had marketing tactics like outbound/offline marketing and inbound/online marketing. However, with the increasing penetration of technology in our daily lives, it has impacted the way we interact with our consumers and market our products. Conversational Commerce is a platform possible as a result of Artificial Intelligence. These are basically AI-powered platforms where the system interacts or chats with the consumer and answers all the queries. So if you are on a shopping site and need some quick answers to save time or avoid surfing the entire website all you need to do is say “Hi” on a chatbot and this (AI-powered) chatbot will instantly cater to your needs. While certain brands have an executive interacting with you viz. Tata Sky in India or Bloomberg globally, we also have large global brands like Louis Vuitton and Dominos adopting an AI-powered interaction model. Conversational Commerce is a personalized experience, see the video below. 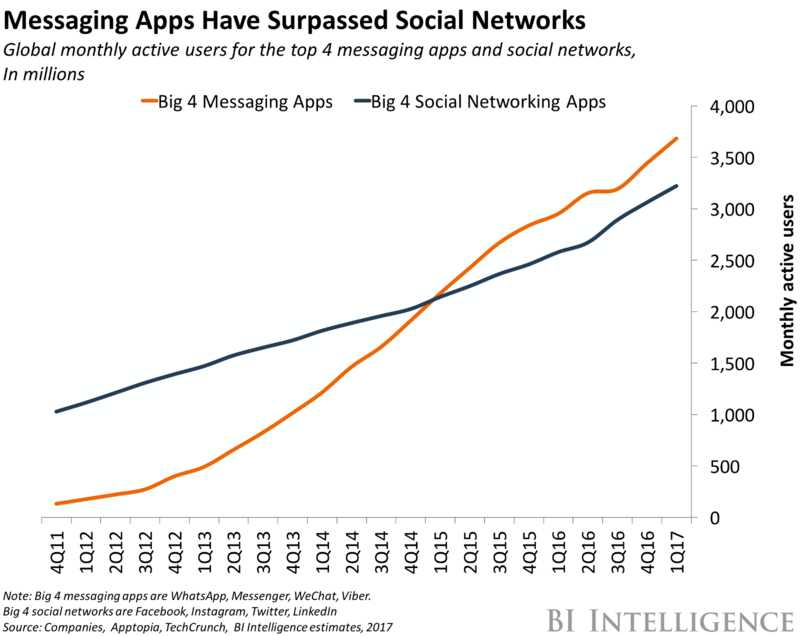 According to BI Intelligence, messaging apps today have surpassed social networking apps by leaps and bounds. The graph below shows the active users per month for each of these apps. This has much to do with the way living styles are changing. People are more glued to their cell phones, laptops and tend to reduce direct interaction with businesses. Though online stores try to give their customers the ease and, look and feel of being present in an offline store, the sales executive in times of need is absent while shopping virtually. However, if there was a virtual assistant to talk to your customers to resolve their queries then it would be cherry on the cake. All in all, consumers are ready to accept more and more of what makes their life easier and caters to their individualistic choices. Conversational commerce essentially is chatbots driven marketing where the human interaction is limited so that the processes are faster and more evolved. Ideally, it works based on the kind of business you run, though to broadly classify, this kind of marketing is data-driven, real-time, personalized and easily scalable. 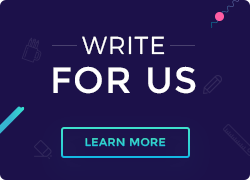 It encompasses everything right from an automatic email thanking the customer for purchasing a product, as well as, noting down customer feedback should there be any the customer wants to provide. The idea is simple – target that part of the customer journey on your e-commerce store that would prove to be helpful should there be an intelligent assistant waiting to guide in case of any help. Having seen the what, why and how of conversational commerce and its working let us now move onto the benefits of incorporating conversational commerce as a part of your marketing strategy. Visitors convert to consumers if they are guided properly when they are stuck with any particular problems. Conversation is the key to this. The right and helpful conversation can help your customer whereas, confusing and misleading information can drive them away. With customer care being automated, it not only saves the waiting time of the user as the bot answers their queries but also ensures they are satisfied with the quick help, which otherwise would not have been possible with limited resources. This, in turn, improves sales. Conversational commerce is customer-driven, that is, you need not always reach out to customers proactively but they would get in touch with you as and when they need. Direct chats on your website help with this as the customer can contact you at any given point of time and would get assistance even if no executive is there to answer their queries. For example, we are ResellerClub incorporated conversational commerce in the form of Direct Chat service on our website homepage. This helps you easily serve & support customers who are interested in your brand enabling you to cater to the right customers. The way brands interact with customers is extremely important. Integrating AI and bots with your CRM helps make the user experience more personalized and user-friendly. With conversational AI you not only help solve customer issues but also provide them with additional aid they might need while shopping. For example, if a customer is shopping for home furnishing items, then the AI-powered bot can help them by showcasing other items they might need in the form of suggestions, recommendations, pop-ups, etc. These can be things like home appliances, decorative items, etc. that might be needed in a home. Does the Website Platform Matter? With several website development platforms like WordPress, Magento, Shopify, Weebly etc. available for launching an e-commerce website, it can be confusing which one to choose. WordPress, however, is a diverse platform chosen by several businesses owing to the various elements like themes, plugins, support and managed hosting service it provides, and as such is a popular choice for starting an online website. Live Chat is a chat support plugin that has a 24/7 automated bot that keeps your customer service awake and ready to talk to a customer whenever need be. GoBot is a 24/7 automated chatbot that helps you grow leads, sales, get email subscribers, answer customer queries etc. enhancing customer satisfaction. Virtual Spirits is an automated chatbot that helps convert website visitors into customers, leads, as well as, replies to the website visitors instantly 24/7. Technology is ever evolving with the voice-activated systems to messaging apps. As an SMB, if you are new and emerging chances of you having a conversational commerce system right at the start can be rocky with only customer feedback systems, however, with the right inventory management system you can set your foundation. If you have any comments, feel free to leave them in the comments sections below.